Aikatsu Stars! – 007 | Mezashite! Yo, yo! This is the Ai-ka-tsu, yo! And this episode, we learn what sakura means. Various notes include a shamisen player in the Ooku, a play on Papaya and Papa (close enough), and Bruce Lee. Oh, and Japanese history from the Edo Period until now. Our previous and current encoders have leveled up their black magic skill. If nothing breaks, then from this episode on releases will have smaller filesizes and better quality. Just check out the performance for comparison. The writing this ep was top tier, and it wasn’t even the series composition writer. I’ll be keeping an eye out for Chiba Misuzu from now on. And next episode we finally fill out the Yume generation. Let’s see how not!Mikuru is. Wasn’t expecting the episode to be subbed so quickly. Will you be this quick in the future as well or are quicker subs going to be a rare treat? This can only happen when the fates allow it, but usually it’ll still be on the weekends. Nice to see the episode use their teacher to teach them instead of relying on the s4 to act as the wise mentors all the time. I think she has potential, hopefully with more screen time she will develop into something more than just a Johnny clone. Not sure what to think of the headmaster yet. 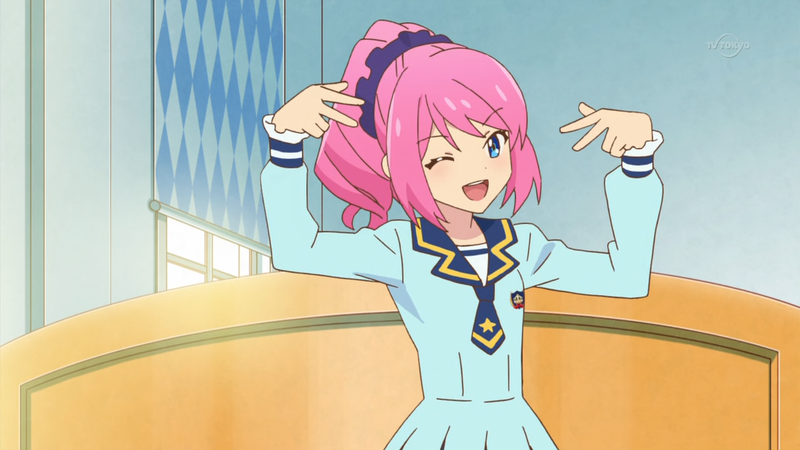 It seems like theyre trying to shoehorn an antagonist into the series, but Im not sure that Aikatsu really needs one. About the headmaster from what he said at the beginning I think he is a big elitist. It’s hard to guess anything with how little screen time he got so far.